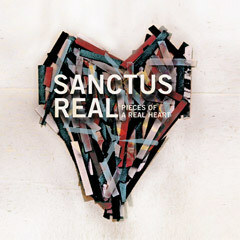 A few months ago I bought Pieces of a Real Heart the most recent album from the band Sanctus Real. I have listened to Sanctus Real since their debut album, but felt like there was a whole new depth of honesty and depth of theology in this new record. There were songs about failing as a leader in the home, about the meaning and beauty of forgiveness, about the questions that God seems unwilling to answer. I recently had the opportunity to interview Matt Hammitt, who sings, plays guitars and writes most of the songs. I asked him him about life, family, music and ministry. Q: Tell me a couple of the ways you and Sanctus Real have seen God’s grace evident in the past few months. How has he been blessing you and what has he been teaching you? There are some things that I hadn’t expected to count as blessings this year that have taken me by surprise. My son, Bowen, was born last September with a rare heart defect, and has required a lot of special care. This experience has been our family’s greatest struggle, as well as the greatest blessing that God has delivered into our hands. “Grace” was once a word that could pass through my lips without much thought. I no longer use it lightly. As for the band, four (out of five) of us have families that are growing. I believe we’d all consider our children to be our greatest blessings during this season of our lives. They’ve taught us innumerable lessons about grace, leadership, and tenderness, all of which have positively impacted our relationships with one another. Q: In your song “Forgiven” you write “In this life, I know what I’ve been / But here in Your arms, I know what I am / I’m forgiven / And I don’t have to carry the weight of who I’ve been / ‘Cause I’m forgiven” Who and what have you been, Matt, what makes you cry and struggle and feel like you can’t fit in? My struggles have never been as much with what I’ve considered to be the greater sins on the list, but with the very thing that causes me to make lists according to my own standards. Pride, disguising itself as insecurity, has been a major issue in my life. It has caused me to feel isolated and has hindered me from freely giving and receiving love. Thanks to the work of God in my life over the last year, justification by faith has become more than a good doctrine to me. It’s become my present reality. My life and ministry are much more fruitful these days. Q: When the “Past is playing with my head” and “the Devil just won’t let me forget” how does the knowledge that I am “a treasure in the arms of Christ” make a difference? I’m a people pleaser, so it’s a daily temptation to wrap my thoughts around getting others to think more of me. This goes hand in hand with the pride and insecurity I mentioned earlier. Over the past several months, I’ve been consumed with seeking the Lord, as well as studying the Bible and theology. Wrapping my heart and mind around the truth has been pure joy. I’ve been a Christian for a long time, but I’m finding a far greater sense of my freedom, worth, and identity in Christ. When I wrote the lyrics that song (and others on our latest album) I was definitely beginning to submit to, and find great joy in, the sovereignty of God over all things. A month after the album released, when Bowen was diagnosed with a potentially fatal heart defect, I began to dig much deeper into the harder questions about life and faith than I ever had before. Writing the lyrics to Pieces of a Real Heart and the events surrounding its release mark the beginning of a personal, spiritual reformation. Q: The song “Lead Me” seems to come from a very private place in your own life and in your family life. Why did you determine to write and record a song about this? My wife, Sarah, and I once heard that the gap between reality and expectations is disappointment. There was a time when we were living in disappointment with our marriage. Now, we can see that our conflict was the result of our greatest expectations being placed on each other as opposed to God. I wasn’t investing enough emotionally or spiritually into my family because my own well was dry. I wasn’t walking as closely with the Lord as I believed I was at the time. I wrote the majority of the song “Lead Me” on the day that Sarah appealed to me to be a better leader. The cry of her heart also became mine. Her courage to lovingly challenge me as her leader not only led to a song that is encouraging men and marriages around the world, but also has led to the most satisfying season of our nine year marriage to date. Q: The very idea that you, as a husband, are to lead your wife is controversial today. Isn’t it old-fashioned and outmoded to say such a thing, that a husband has responsibility to lead his wife (and especially so when it comes to spiritual matters)? I definitely hold a complementarian position on marriage, which is undoubtedly becoming less and less popular in our culture; I believe at a great cost. I’m fully convinced that it’s the husband’s responsibility to be the one who is disciplined and pro-active in nurturing his families financial, practical, emotional, and spiritual needs. Q: This song is a petition to God that he will help you lead and give you strength to do it well. Has God answered that prayer? Yes. God has been faithful in answering my prayer. He’s continually humbling me, teaching me to better serve my family and others. Q: With all the demands that come with touring and so often being on the road, how do you ensure that you’re connected to a local church? Have you found it a temptation to just disconnect? This is a source of inner tension that I’ve been trying to reconcile for some time. It’s extremely difficult to be consistently involved with our home church because our opportunities to work and minister on the weekends. We all have a generous amount of Christian fellowship at home and on the road, but it never quite fills the longing to be more consistently involved at our home church. Q: Tell me some of the ways that your wife serves and blesses you in this career you’ve chosen. How has God blessed you in providing a godly wife who is so committed to you? I really can’t say enough about the wife that God has blessed me with. Although our lifestyle has it’s own form of rewards, Sarah has supported me in this calling and career at a great cost to her own comfort. She rarely complains, and when she does, it’s usually about me complaining. 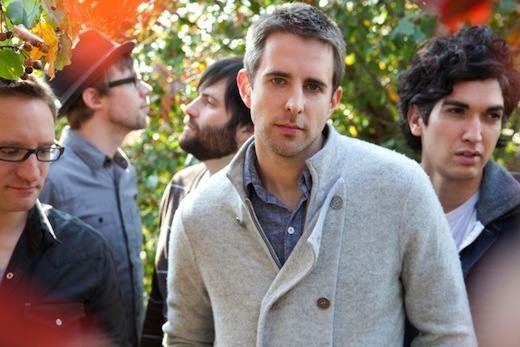 Q: How can those who read this interview pray for you and for Sanctus Real? That God would generate music in us, and out of us, that will stir people to think deeply about the central purpose of their lives. For strength to be the kind of men we sing about being, and that our wives and children would grow in their love and commitment toward God and his truth. Sarah and I are returning with Bowen to MOTT Children’s Hospital on February 28th for his second open heart surgery. We will need a lot of prayer during that time. Note: I’ve got a couple of copies of the album to give away. Leave a comment if you’d like to win and I’ll choose a couple of winners in a day or two.